Holiday body ready! The girls at Perfect10 have been round to preen me to within an inch of my life with a pedicure that is still intact as I write! Our Cosmolite cases packed and a Kabbee to Gatwick (new amazing mini-cab app that books and pays in one go!) A comfortable flight on a brand new Easyjet plane to Heraklion and we have arrived. Stepping off the plane in Crete we shoot to Hertz to pickup out car and we are off. 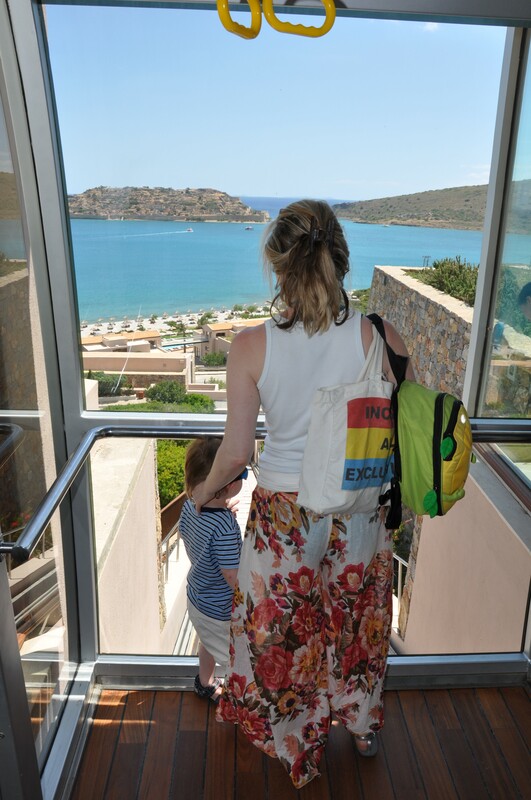 Elounda is where we are headed, for a week of 5* bliss. It’s our first time here, the sky is blue and it’s warm! Yes, blue sky and sunshine in May. 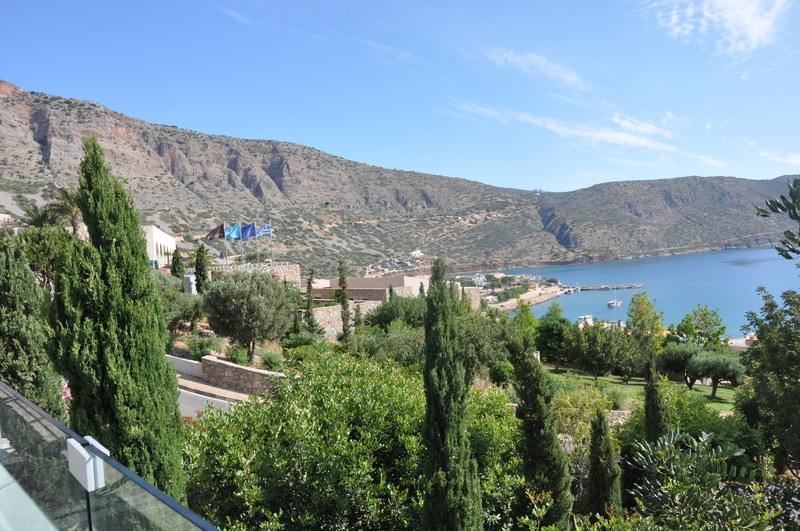 A 45 minute drive on the new road then along a coast flanked by pebble beaches, fishing boats and tavernas and we arrive. The first thing you notice about the Blue Palace is the dramatic scenery. This hotel is no boutique: it sprawls elegantly, terracotta walls almost disappearing into red cliffs, only distinguishable by the azure blue infinity pools attached to almost every room. Architecturally it is a triumph, to my untrained eye! Reception is huge, open and flooded with natural light. Minimalist but not too much, with the odd piece of modern but natural art. Despite this being a Starwood hotel, this isn’t your run of the mill chain. We are talking entirely unique. Extensive research done before making my choice: Our own private pool for Alexander to learn to swim in, a kids club with UK standard childcare and of course ultimate luxury. I’m no easy customer to please. Club cars whizz guests from suites along fragrant paths. 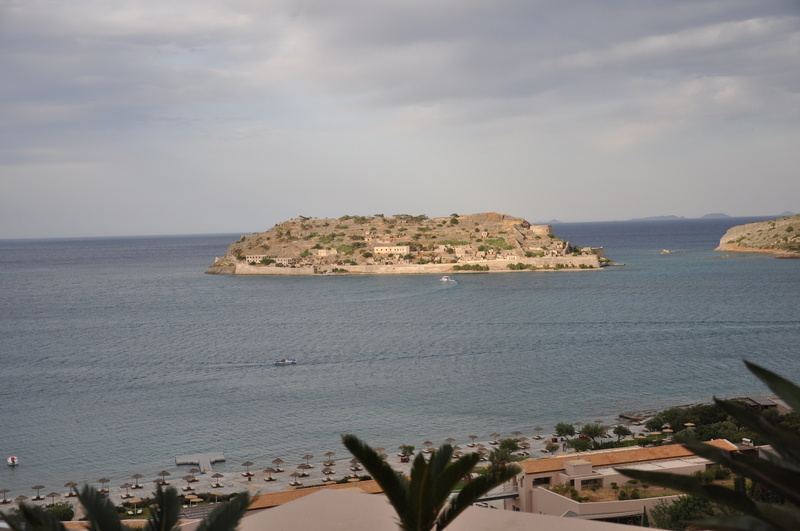 Just walking from our room to the extensive luxury breakfast (with added authentic charm provided by two tables groaning with Cretan specialities), strutting in my Melissa Odabash bikini and matching kaftan, we couldn’t help but admire the stunning view over to the archeological relic of Spinnalonga island. 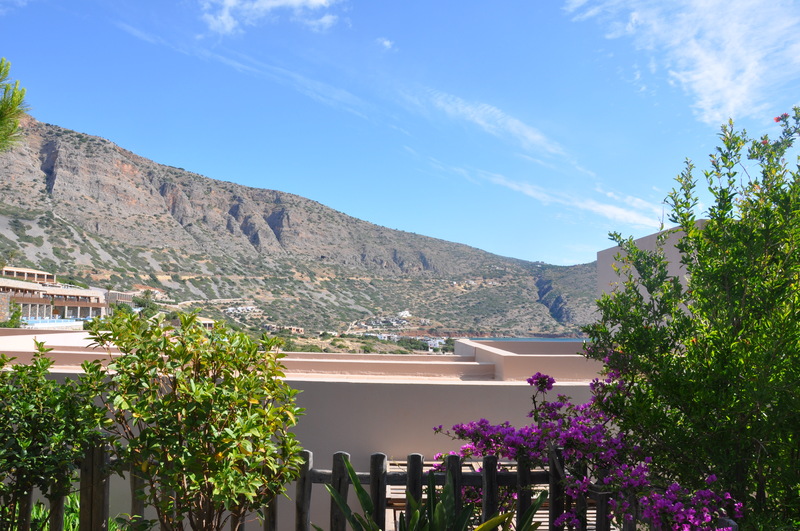 It sits directly across the water from the hotel (you can pick-up a boat which ferries tourists from the tiny village of Plaka 5 minutes walk from the hotel- tavernas, a small supermarket and a couple of artisan shops too). Eating our meals in any of the 5 restaurants we felt privileged. Tourists travel far and wide for our views! 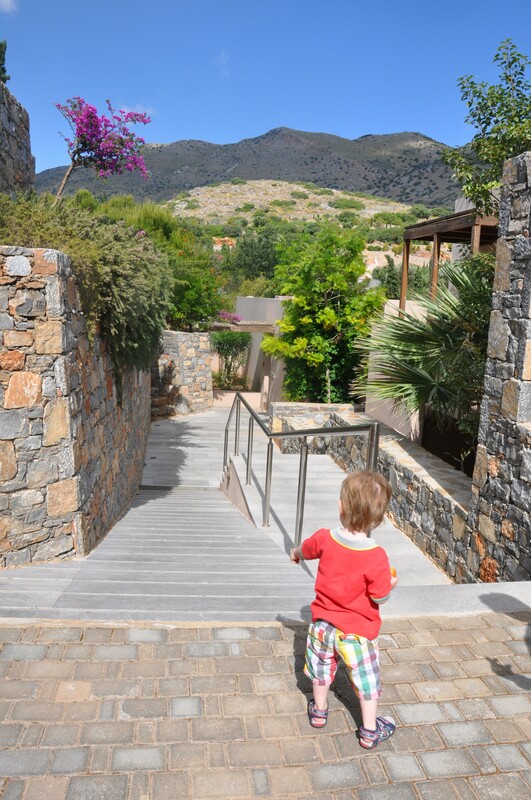 As the hotel is built into the mountain, down to the beach a glass funicular drops guests at different levels (villas, steak restaurant, spa, Greek taverna) Alexander loved the 3 minute ride. At the very top sits the vast terrace. Reminiscent of Ibiza, a huge space with vast white comfy sofas one of the 3 pools, we sat most nights sipping a cocktail before dinner just admiring the view. Each day we woke up, drew back the curtains to our private garden with nobody to see in, a pool and importantly lots of shade and just felt blessed! 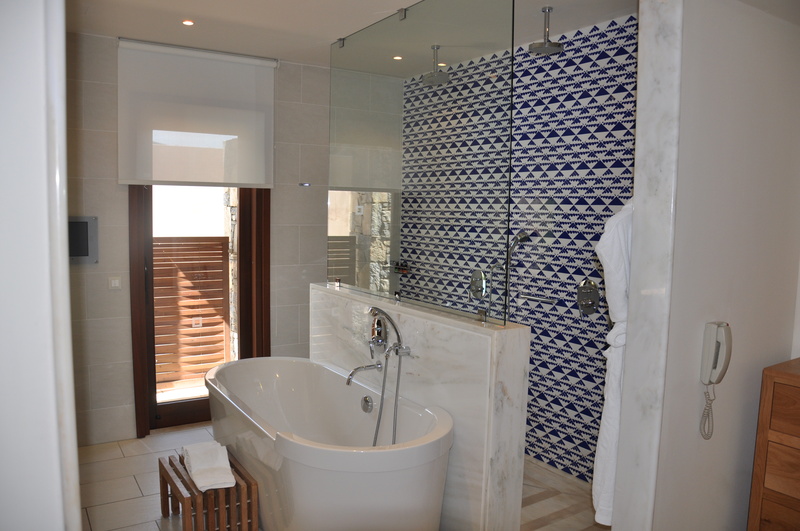 A combination of the view, the huge suite with its own sitting room, bathroom with electric blinds that wowed Alexander every time I opened them, standalone bath and walk-in shower with two rain shower heads, notwithstanding our own outdoor one too and full-sized Apivita toiletries which are organic, Greek and smell divine. Staff were fantastic too. 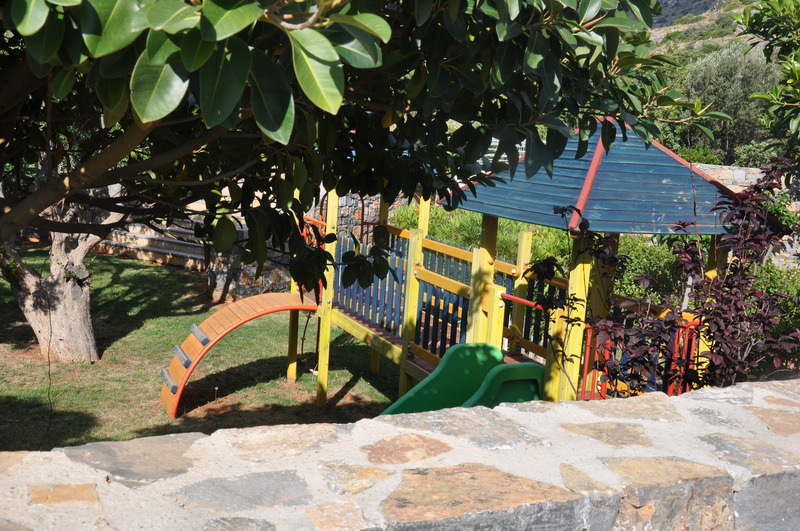 When we weren’t teaching Alexander to swim in our pool or sunbathing in our garden, Maria in kids club was taking Alexander to play the piano (upon request) or to the swings and slides safely inside the walled garden by the kids club). We went to Plaka for yummy iced coffees and ice cream but other than that just relaxed reading books or splashing with Alexander. 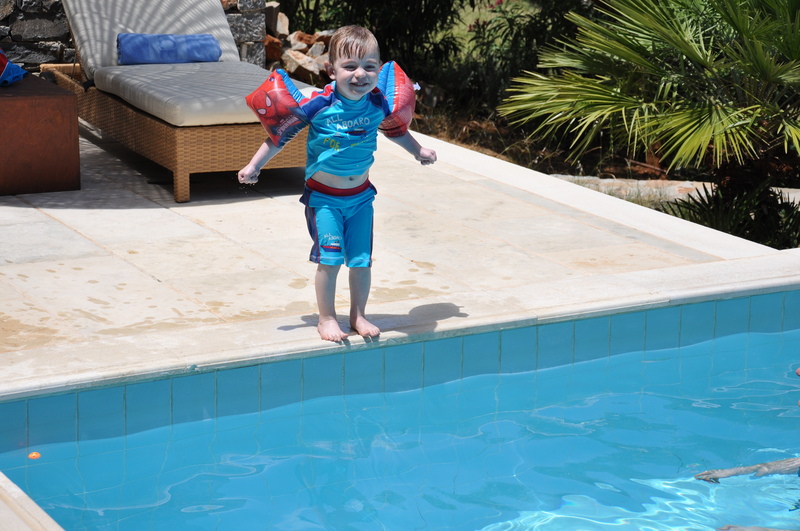 He started to jump in all by himself with his armbands on which just made our trip worthwhile. It was so lovely to see him comfortable and happy in the water. 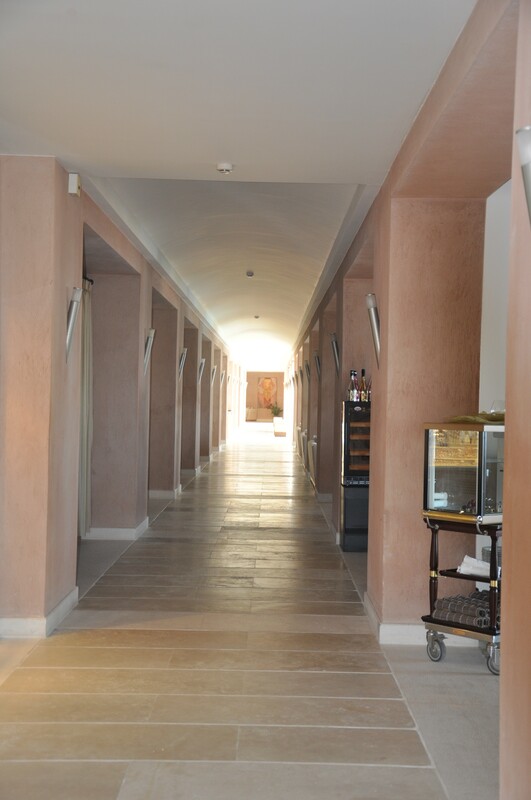 The spa was another experience altogether where the family package saw all three of us on massage beds next to each other, a simple olive oil massage for Alexander followed by his own playmate/ therapist to keep him busy whilst my husband and I blissed out. 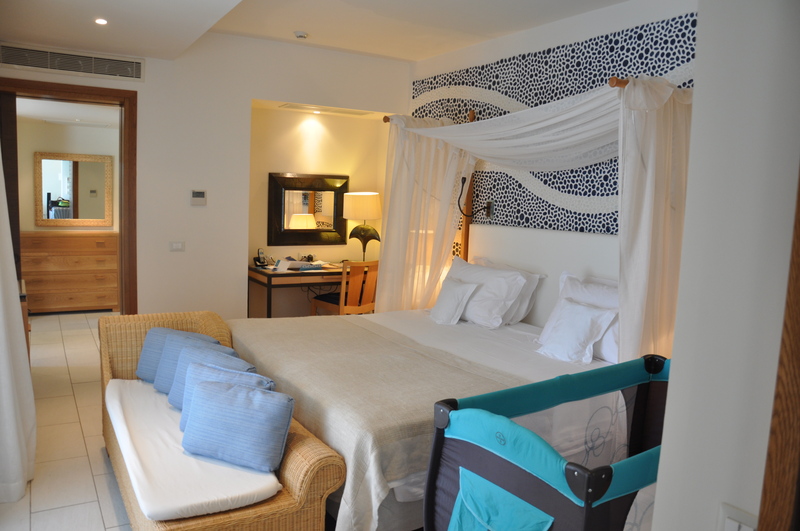 Overall all the pros of a big complex and extensive staff and facilities with the peace and quiet of a boutique. A heated pool suite is a must!